Anyway, yesterday I had the opportunity to venture to Klang and a friend kindly show Chulet and her bro to a nice restaurant for lunch. The Restaurant frontage seems small and ordinary. Luckily the restaurant is air-conditioned as it was a really hot day. 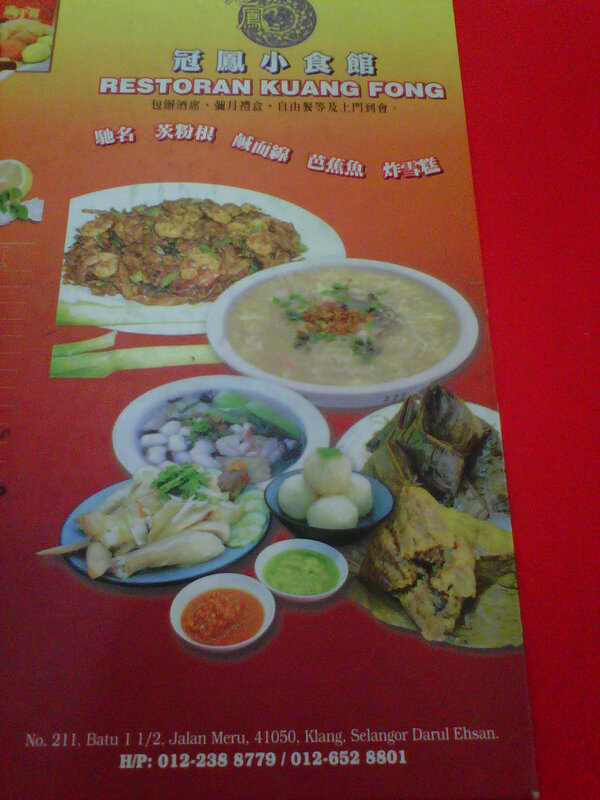 Once seated inside, our friend started ordering dishes in Hokkien (which I don’t understand at all). Patiently, I waited to be surprise as this friend loves good food and most of his recommendations are always thumbs up. 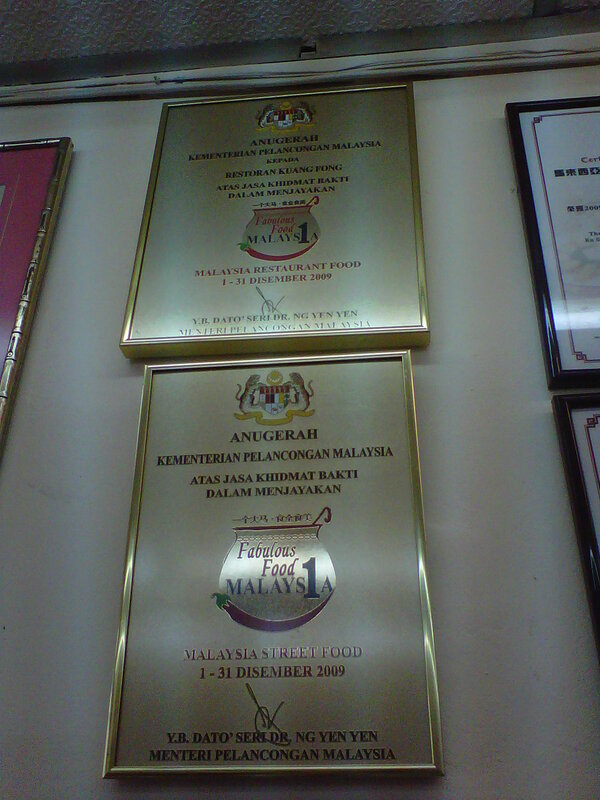 While waiting for our food, I look around and found that this restaurant won a lot of award. 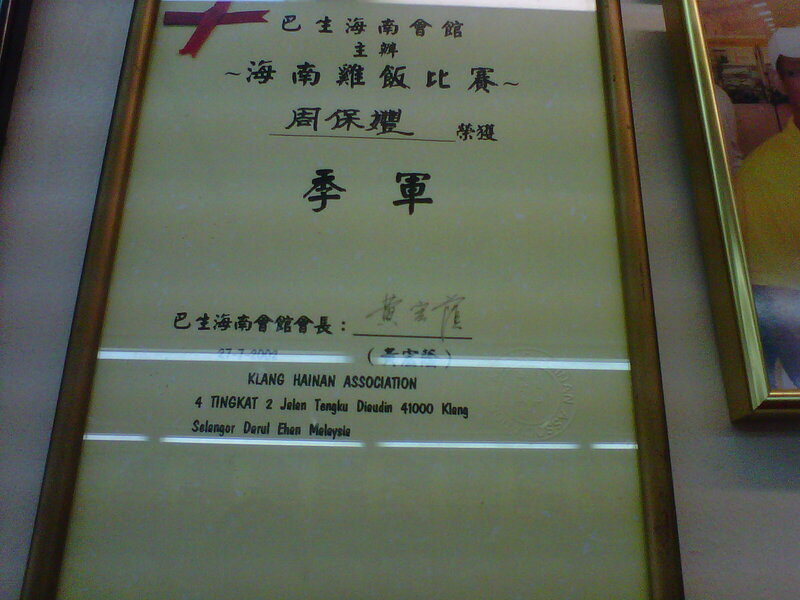 They went for Bak-Kut-Teh competition, Hainam Chicken Rice competition and received recognition from the Tourism Ministry ! Wow… ! wow !! 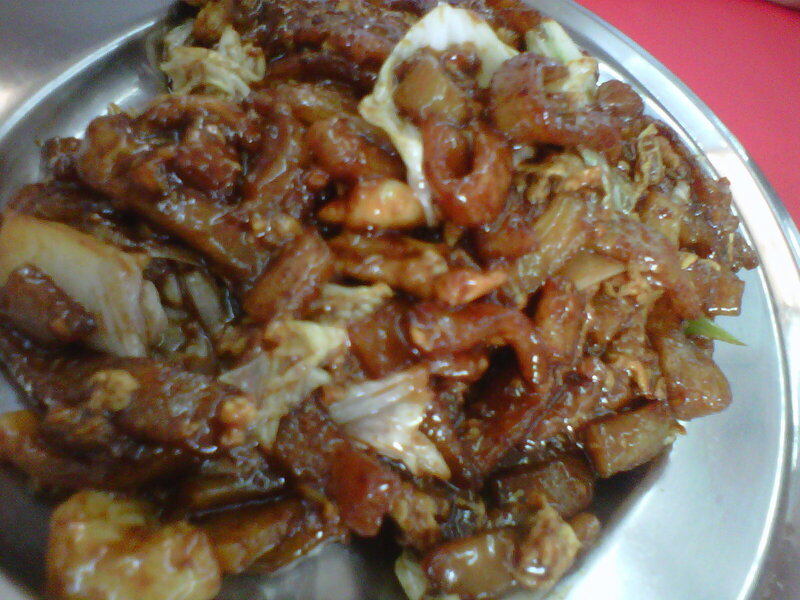 We start off with a bowl of mee-sua with ho-chien. (rice noodle with oyster). The soup looks a little starchy but once you scoop into individual bowl. Add in a dash of vinegar and some chilli sauce. It was really good. The oysters are fresh and the noodles are really smooth and not too soggy. The next on the hit list is the fried sliced noodle. This is a specialty of the shop. 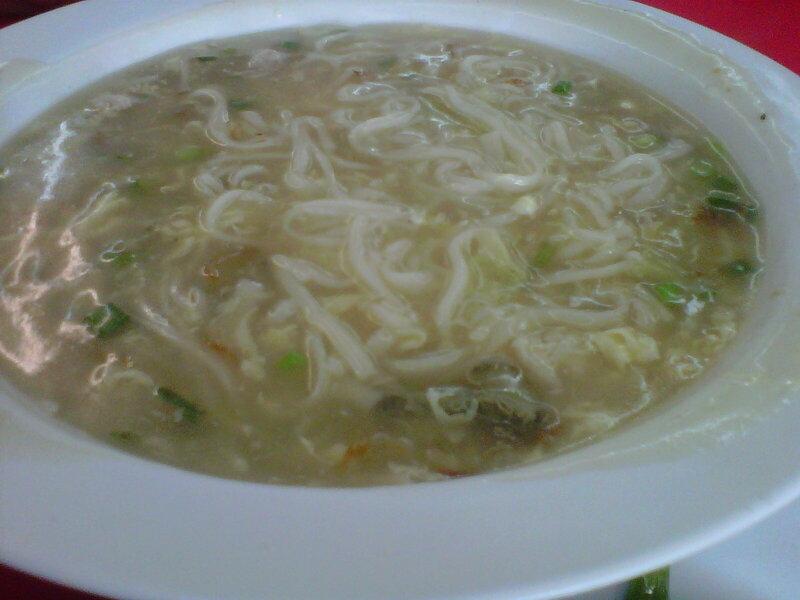 The noodle consistency kind of resembles the rat’s tail (loh-see-fun) but with more stickiness to it. 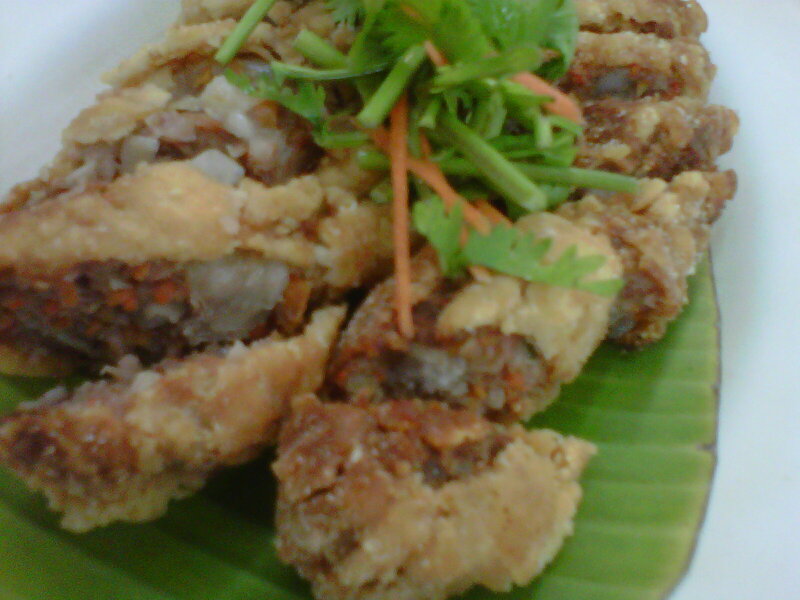 It was fried like the fried kueh teow style. I really like this as the taste is very fragrant. 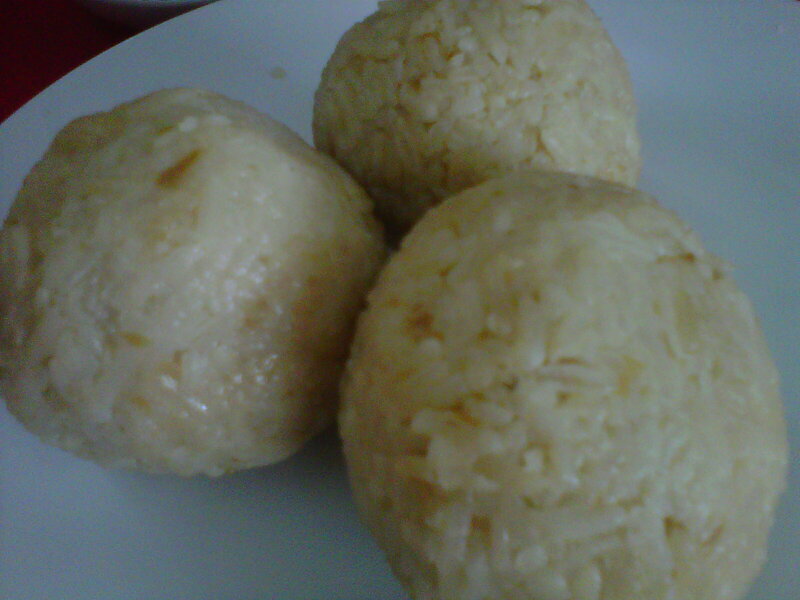 Next is the chicken rice ball (which was HUGE – at least double the normal size you get in Melaka). 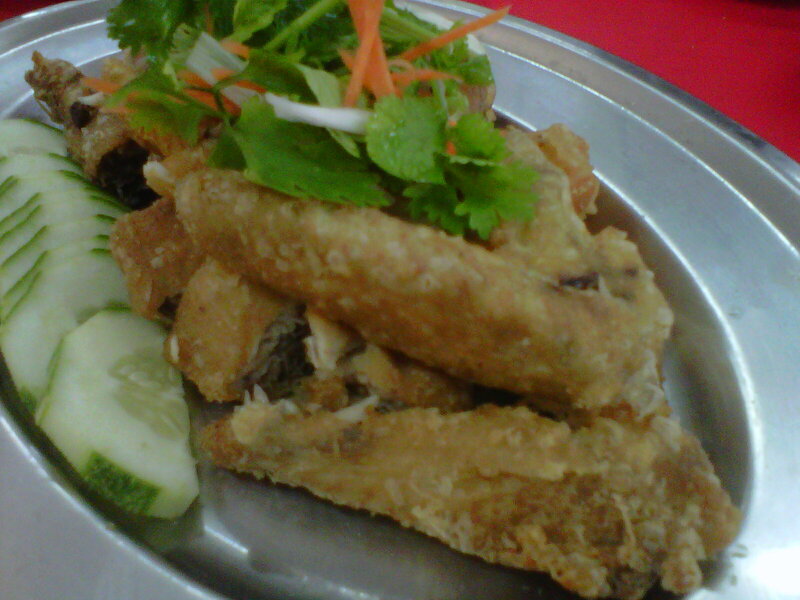 The chicken ordered was fried salted kampong chicken. Really yummy as the skin was not only crispy, it was full of flavour from marinating the chicken. 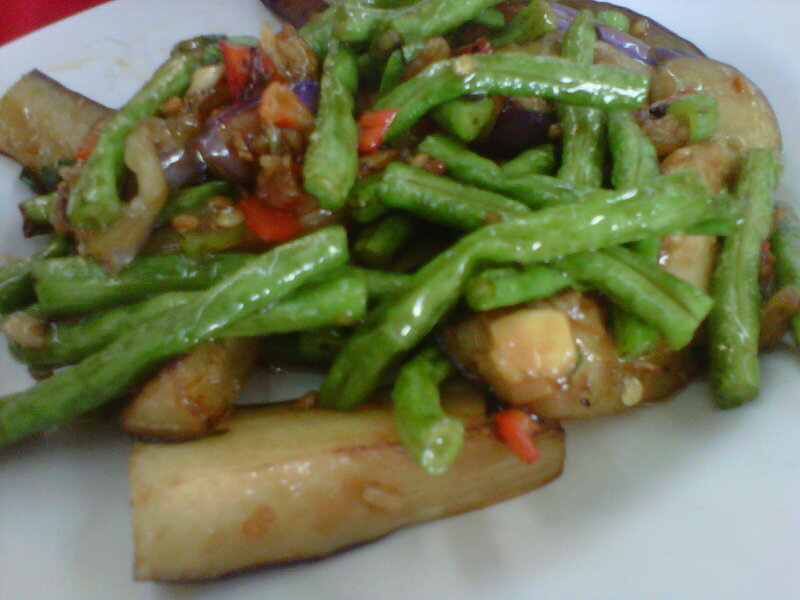 Apart from these, we order stir-fry Brinjal with Long bean and Fried Lobak. 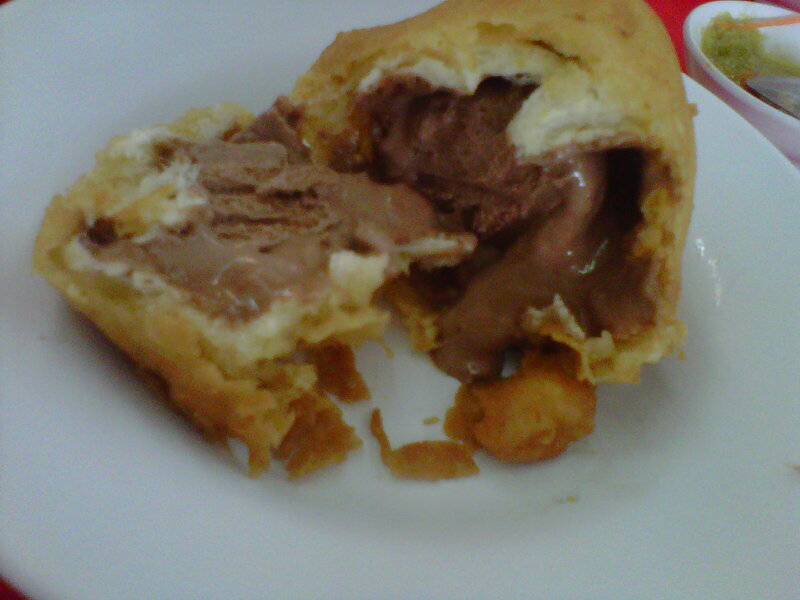 For dessert we had deep fried chocolate ice-cream ! !